The National Business Aviation Association Convention and Exhibition in Las Vegas has come and gone. Now that the dust has settled, we look back at NBAA 2017 as a fantastic chance to reach out directly to more than 27,000 people who share a common love of business aviation. For Jeppesen, it was a great time to speak with customers, partners, and vendors while showcasing the latest trends in the business aviation industry, as well as the latest developments at Jeppesen. This included our “Sip and Learn” events with Master Sommelier and wine expert Maureen Petrosky. 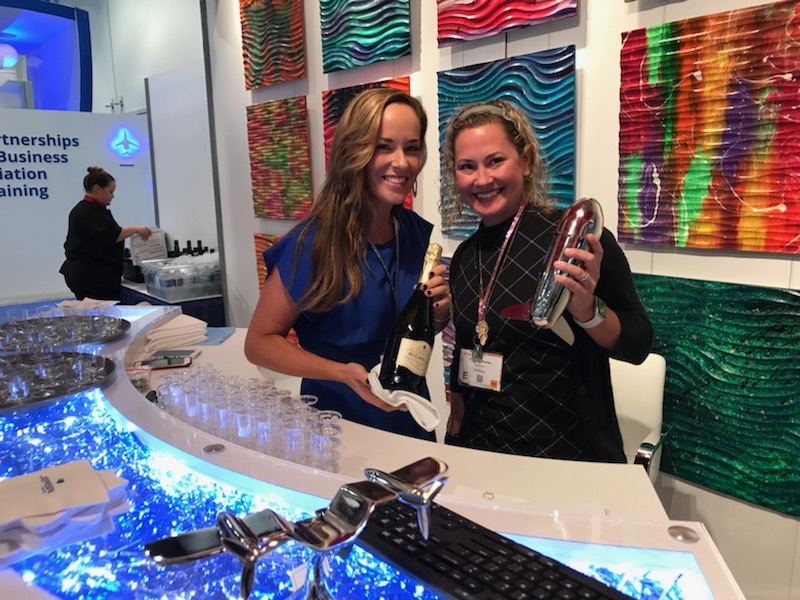 If you were not able to attend these presentations or were not at NBAA this year, we paired special tastings of wine and whiskey with special live demos of Jeppesen Operator. It’s safe to say that all of our attendees during those sessions had a great time. Additionally, Jeppesen’s own Kristin Zaccheo hosted an interactive presentation about the latest Technology-Driven Trends in Business Aviation that highlighted some of the exciting directions that this industry is headed in the next decade. We hope to share a recap of that presentation on the Business Flyer blog at a later date. If you attended NBAA 2017, we hope you had a great time and went home feeling like you learned a lot about the business aviation industry and where it is headed. And hopefully you also had the chance to stop by the Jeppesen booth to see our latest offerings or just say hello to our friendly team. Whether you attended NBAA 2017 or not, we do hope to see you there in 2018. If you have some questions or would like a demo about Jeppesen Operator or any of our other products that can’t wait until next year, please be sure to reach out to your Jeppesen representative or contact us online.